Five U.S. mobile phone carriers will launch databases allowing customers to report stolen phones and prevent them from being reactivated, in a wide-ranging effort also supported by the U.S. Federal Communications Commission and police chiefs to attack a growing problem of smartphone thefts. A database for stolen phones on GSM networks will launch by Oct. 31, and U.S. carriers will launch a common database for LTE smartphones by Nov. 30, 2013, mobile trade group CTIA announced Tuesday. Carriers AT&T, Verizon Wireless, T-Mobile USA, Sprint Nextel and Nex-Tech Wireless, which have more than 90 percent of the mobile customers in the U.S., have committed to the mobile phone theft prevention program. Smartphone theft is a huge problem in many cities, several police chiefs said during a press conference in Washington, D.C. Mobile phone thefts made up about 8 percent of New York City's robbery and grand larceny cases 10 years ago, but now they make up 40 percent, said Ray Kelly, commissioner of the New York City Police Department. In many cases, smartphone thefts involve violence or guns, added Charles Ramsey, commissioner of the Philadelphia Police Department. "This is no small crime," he said. The new databases will significantly reduce the incentive for thieves to steal smartphones, officials said. The effort will reduce smartphones to a "worthless piece of plastic," Kelly said. 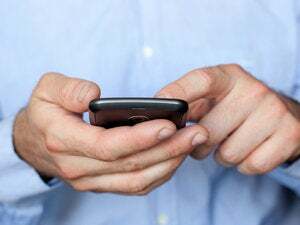 In addition to the databases, the mobile carriers will begin, within the next year, to notify customers about features to lock their smartphones with passwords. By the end of this year, smartphone makers will include information in user guides or other materials on how to lock new phones. The new databases, in addition to other measures that mobile carriers will take, will have "significant implications for cities, police forces, and law abiding smartphone users across our country," added Vincent Gray, Washington's mayor. Mobile carriers will also begin this year to educate customers about applications that can lock smartphones, locate them and erase data on them. By July, carriers will also launch a public education campaign of smartphone theft prevention. Several other countries, including the U.K., France and Germany, already operate similar databases of stolen phones. But there hasn't been major pressure to create a U.S. database until recently, because U.S. carriers have heavily subsidized the cost of buying smartphones, thus reducing an incentive to steal them, said Christopher Guttman-McCabe, CTIA's vice president of regulatory affairs. Carriers responded quickly when the FCC and police asked for support this year, he said. New handsets such as Apple's iPhone, which can cost hundreds of dollars, have made smartphones a growing target for criminals, officials said. In addition, smartphones can contain bank account information, credit card numbers and other attractive information to thieves, officials said. Police in New York City have focused on the issue since 2009, and Washington Police Chief Cathy Lanier began pushing for new tools to combat smartphone theft this year. Lanier approached the FCC and other police departments about ways to reduce mobile phone theft, she said.